* Click here to learn how to clean these vegetables and herbs. Once all your vegetables are cut into thin batons, add the red and green cabbage, the chard, and beans to the cold water with lemon juice. In a large soup pot, melt the margarine over a low heat until it is just foaming. Add the carrots, turnips, leaks and onions and garlic paste. Sauté in the margarine for about four minutes, or until tender. Strain the water from the soaked vegetables, and add them to the pot, letting them sauté for a minute or two, then add the vegetable or chicken stock. Let the soup gently simmer for 15 – 20 minutes. Add half of the tarragon or marjoram, and a squeeze of lemon juice, then let simmer for 5 more minutes. Taste and add salt, pepper as desired, adding the last of the herbs just before serving. This Carob cake is very apropos for Lag B’Omer, but can be served any day of the year! 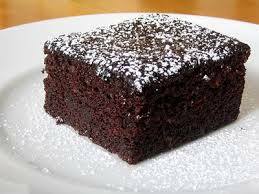 It is especially good for those that want the flavour of a chocolate cake, without the chocolate. This cake will serve 9. Preheat oven to 350 degrees . Grease and flour an 8 inch square pan. Sift together the flour, carob powder, baking soda and salt. Set aside. In a large bowl, cream together the margarine and honey until light and fluffy. Beat in the eggs one at a time, then stir in the banana and vanilla. Beat in the flour mixture alternately with the water. Stir in chopped nuts (if using). Pour batter into prepared pan. Bake in the preheated oven for 40 to 45 minutes, or until a toothpick inserted into the centre of the cake comes out clean. Allow to cool, then dust with icing sugar to decorate. 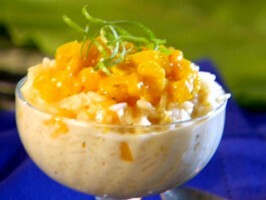 This rice dessert is great served warm or cooled, and can be made with flavours other than mango. Just swap out the diced mango and juice and substitute with peaches, or cherries or raspberries. The possibilities are endless and will most definitely impress! If you find that your fruit is not sweet enough, you can always add a bit a sugar. If it’s too sweet, you can cut it with a dash of lemon juice. This recipe will serve 6 for dessert. Heat water, mango nectar, nutmeg and cinnamon in a sauce pan to simmer. In another large saucepan, set on medium/high heat, measure out 1 cup Arborio rice and add one cup of the hot water/mango mixture, stirring constantly until all the liquid is absorbed. Continue adding the water/mango mixture one cup at a time until all the liquid is used and rice is tender. (If texture is too firm, add ½ cup additional water.) The rice should take about 25 minutes to cook, and still have some sauce left. Fold in the diced mango. Garnish with toasted coconut, nuts, dried fruit or mint. Rice is nice! And this recipe makes a great appetizer, or if you’re like me, and get addicted, can easily wind up making a meal out of them! In this recipe I’ve called for Salmon, but you can easily substitute with a different fish, or different protein all together. They would be equally as good with chicken or tofu. This recipe will make about 24 potstickers. * Click here to learn how to properly clean fresh parsley and green onions. ** If using meat instead of fish or tofu, please click here to learn about the use of Worcestershire Sauce with meat products. Add salmon, oil, sugar, Worcestershire sauce, parsley, garlic, ginger and pepper or chili flakes into food processor and pulse to make a chunky paste. 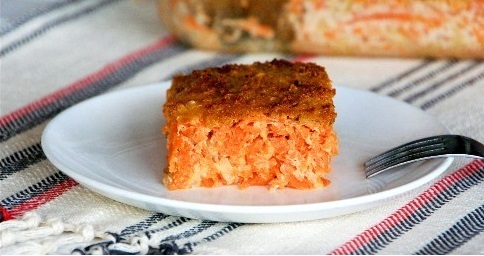 In a bowl, mix together the salmon paste, carrots, water chestnuts and cooked rice. Fill the wonton wrappers as directed on package sealing the edge with a dab of water on your finger. If you’re not making the potstickers right away, refrigerate or freeze them on a baking sheet lined with parchment until ready to use. 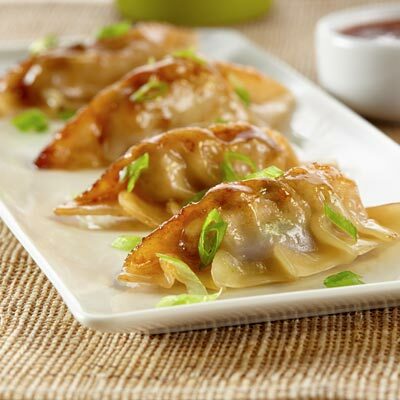 Heat a small amount of oil in a sauté pan, and lightly brown filled potstickers on one side. Flip, and add water to cover bottom of pan. Cover and steam about 4-5 minutes. Top with sesame seeds and green onion and serve with your favourite dipping sauce. 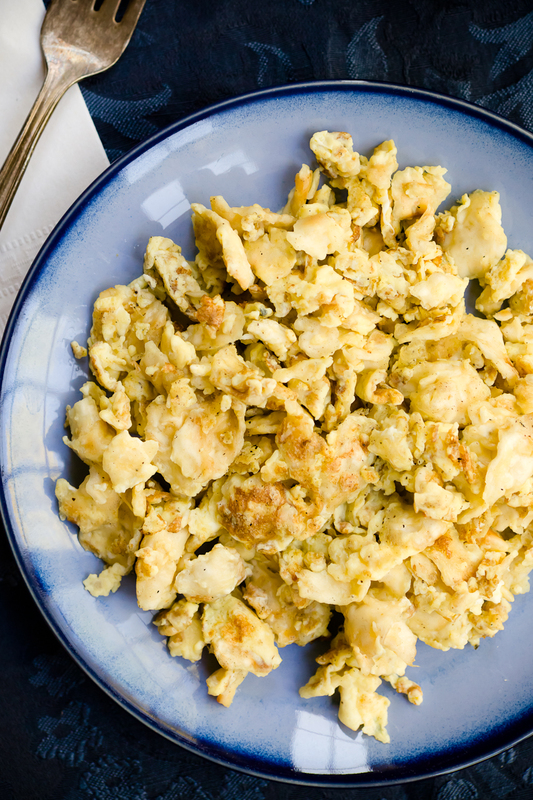 Matzo Brei is a long standing Passover tradition in my house, and we tend to be purists, using only the basic recipe below and topped with a little ketchup (’cause despite what you may think, ketchup pretty much goes with everything). My co-worker’s husband goes sweet, adding pancake syrup to his freshly cooked dish, while my boyfriend goes savoury, adding sauteed veggies and cheese to the dish while it cooks. To each his own I guess! No matter how you make it, I hope you like it! 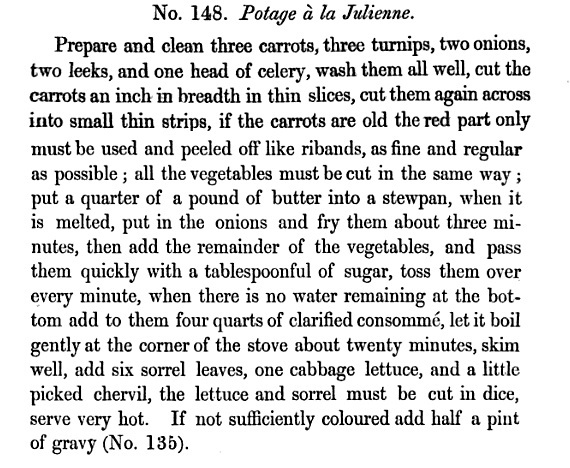 This recipe will serve 2-4 people. 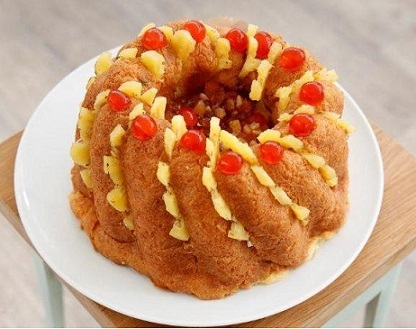 For a sweet dish try adding any or all of the following: canned fruit, applesauce, sour cream or syrup. Crumble matzos into a large sieve placed over a bowl to catch crumbs, then hold sieve under running cold water until matzos are moist and softened but not completely disintegrated, about 15 seconds. Transfer to bowl with crumbs, then add eggs and salt and mix gently with a fork. Heat butter in a 10- to 12-inch skillet over moderately high heat until foam subsides. Add matzo mixture and cook, stirring constantly, until eggs are scrambled and matzo has begun to crisp, about 3 minutes. 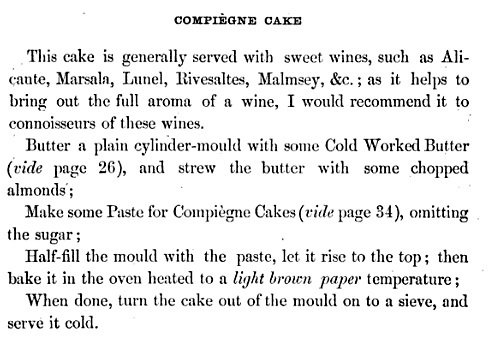 This recipe was passed around the office as a “keeper” on a scrap of yellowed newsprint. Wanting to track down the original source, (thank you Google!) I was able to find that the recipe was first published in the Baltimore Sun back in December of 1991*. It was part of an article written by Colleen Pierre, R.D. entitled “Veggies Don’t Have to be Bland, Boring”. While yes it is a bit old (23 years!) the article, and the recipe, still hold true. If you would like to read the original article, please click here. This recipe will serve 8. Pre-heat the oven to 375 degrees. Lightly grease an 8-by-8-inch baking pan with about 1 teaspoon of cooking oil. In a medium sized bowl, mix together the ingredients, and then pour into your prepared pan. Bake for 45 minutes, until golden brown on top. * According to the article, the actual recipe comes from “Life After Schmaltz,” a book for heart-healthy Jewish holiday cooking by Rosalind Trieber, M.S., Ann Sussman and Janet Brigham, Ph.D., published in Baltimore by Trieber Associates. This dessert just gets better with time. I would always plan on serving it the next day, or even the day after that, as the longer it sits, the longer the matzo has a chance to soak up the sweet lemony syrup. This recipe will make 9 to 16 squares (depends how small you slice it). Briefly pass each sheet of matzo under cold running water until wet on all sides. Layer sheets between damp paper towels and let stand until somewhat pliable but not soggy or falling apart, about 2 hours. While matzo is softening, make syrup. In small saucepan over moderately high heat, stir together the water and sugar. Bring to boil, then lower heat to moderate and cook, uncovered, until syrupy and thick, about 15 to 20 minutes. Stir in lemon juice and honey and simmer 1 minute. Remove from heat and let cool, then chill until ready to use. Preheat oven to 350°F. In large bowl, stir together walnuts, pistachios, brown sugar, cinnamon, and cardamom. Separate out ⅙ of nut mixture and reserve for topping cooked baklava. Transfer 1 sheet of the prepared matzo to the counter. Press a rolling pin once over the sheet from one end to other to flatten. Rotate 90 degrees and repeat. Using a pastry brush, grease the bottom and sides of an 8-inch square pan with the melted butter/margarine. 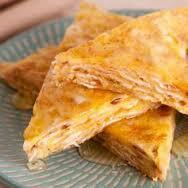 Lay one sheet of flattened matzo on the bottom of the pan, and then spread with more melted butter/margarine. Sprinkle the matzo with ⅕ of unreserved nut mixture. Roll out second sheet of matzo and transfer to pan. Brush with margarine and sprinkle with nut mixture. Repeat with remaining matzo sheets and remaining nut mixture, ending with matzo sheet brushed with margarine on top. Bake until golden, about 25 minutes. Keeping the baklava in the pan, place the pan on a cooling rack so that it can cool all around, and immediately pour the chilled syrup over. It may seem like a lot of syrup, but the matzo will absorb it all. Sprinkle with reserved nut mixture. Let cool, then cover and let stand at least 8 hours and up to 3 days. (Do not chill.) Cut into small squares or diamonds and serve. This is a nice, easy side dish that gives a little sweet and a little sour to balance out the flavours. This recipe will serve 8 people. * Click here to learn how to properly clean these ingredients. Cut a round of parchment paper to fit just inside a wide heavy 6-to 8-quarts pot, then set round aside. Simmer water, lemon juice, oil, honey, salt, and pepper in pot, stirring, until honey has dissolved. Stir in celery (but not leaves) and cover with parchment round. Simmer until tender and liquid is reduced to about ¼ cup, 35 to 40 minutes. Meanwhile, coarsely chop reserved leaves. Serve celery sprinkled with celery leaves and parsley. 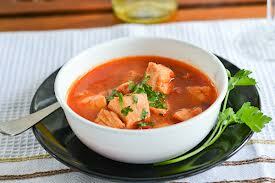 This is a nice alternative to chicken soup, and combines the fish course and soup course into one! All the flavour, half the work! This recipe will serve about 12 people. * Click here to learn how to properly clean these vegetables and herbs. In a food processor, coarsely grind the onions, leeks, celery, fennel, garlic, parsley and peppers. You can do this in batches if you have a smaller processor or you find the vegetables are becoming over processed. In a large soup pot, heat the olive oil, and then add the vegetable mixture. Sauté the mixture until the onions and leeks become translucent, about 5 to 10 minutes. Mix often so that nothing sticks and burns. Next, add the head and tail of the fish (in the cloth), along with the tomatoes, water, potatoes, wine, cloves, bay leaves and paprika. Reduce the heat to a simmer, and let cook for 45 minutes. Remove the cheesecloth with the fish parts in it, and then add the chopped up fish meat and saffron to the pot. Allow the soup to cook another few minutes until the chopped fish has cooked through. 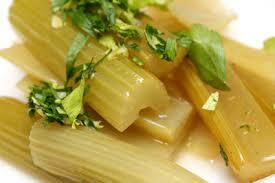 Adjust salt and pepper to taste, and then serve hot, garnished with a few fronds from the fennel.